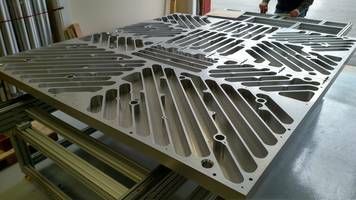 BOLD Laser Automation, Inc. of Bedford, NH USA, announces their Tooling Plate, Fixture and Fabrication & CNC Machining / Design Services. Many small to medium-sized manufacturers need to outsource design and fabrication services to meet the growing demand for their products. BOLD’s team can produce customized designs for fixtures, automation pallets, tooling plates, as well as build to print. Our tooling plate design and fabrication capabilities provide a one-stop solution. Maximum tooling plate sizes up to 60” (~1.5 M) x 80” (~2.0 M) X 12” (~0.3 M). Larger possible, depending on customer requirements. 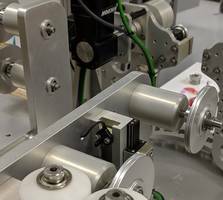 BOLD Laser Automation, Inc. has experience with designing and fabricating tooling and fixtures for assembly, testing, and machining operations. 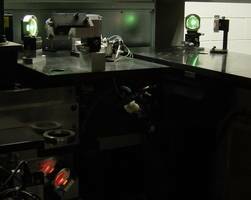 BOLD can integrate measurement technology including electrical and functional testing for integration into a data acquisition or analog and digital readable gauges. Serving the greater New England area, BOLD can provide customized solutions rapidly and cost-effectively. BOLD’s Machining services group can provide quality CNC machining work as well as prototype quick turn development services. 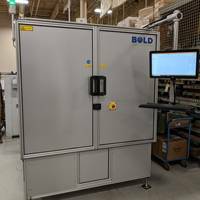 Company Name: BOLD Laser Automation, Inc.
New LPCP110 Laser Tool Outfitted with Precision Galvanometer Scanner with 150mmx150mm Field Size and X-Y Table Configurations Up To 30"X30"